Here are some of the latest computer deals from Dell.com. Dell Inspiron 1525 laptop only $499 after $229 off Applicable E-value code: 6VAFF-DNDEPA5 Limited time offer: Beginning 7/18/2008 12:00 AM CT through 7/22/2008 5:59 AM CT.
20% off all Dell XPS M1330 Laptops over $1249 + FREE Standard Shipping! Limited time offer: Beginning 7/17/2008 through 7/23/2008 11:55 PM CT. Use Coupon Code: K54SDRK72$L6W3. Dell Vostro 1510 featured at $539! Hurry, expires 7/30/08. Windows Vista w/Service Pack 1, Intel Core 2 Duo, 2GB mem, Free ground shipping. Dell Vostro 200 Mini Tower featured at $449! Hurry! Expires 7/30/08. 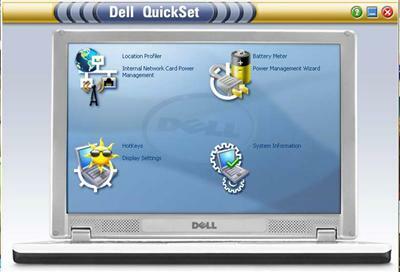 Windows Vista Basic w/Service Pack 1, Intel Dual Core, 20″ WFP monitor, FREE upgrade from 1GB to 2GB mem. Dell Latitude D530 Laptop featured at $699! Hurry, expires 7/30/08! Intel Core 2 Duo, 2GB mem, 120GB HD, 6 cell battery for up to 5:00 hours* of battery life, free ground shipping. Dell OptiPlex 330 with 19″ WFP monitor featured at $499! Hurry! Expires 7/30/08! Windows Vista w/Service Pack 1, Pentium Dual Core, Free ground shipping on systems $399 and up. Dell PowerEdge T105 server featured at $349! Hurry! Expires 7/30/08. AMD Opteron Dual Core processor, 1GB mem, and two 160GB hard drives. Microsoft to Try Windows XP Out on OLPC in January Microsoft said it plans to conduct field trials in January of Windows XP running on the One Laptop Per Child XO laptop. The XO laptop ships with a Linux operating system and is meant to be a low-cost machine available to people who live in countries with developing economies. December 2007 Advance Notification I wanted to let you know that we just posted our Advance Notification for next week’s bulletin release which will occur on Tuesday, December 11, 2007 at or around 10 a.m. Pacific Time. Internet Explorer 8 Just as he was the first to talk about IE7, Bill Gates kept the tradition alive and discussed IE8 at the Mix ‘n Mash event here on campus yesterday. Bill was talking to some bloggers about IE.Next and called it IE8, the same way we do here in the IE team hallway. So, yes, the version after IE7 is IE8. Dell to sell PCs at Best Buy Beginning in the next few weeks, Dell notebooks and desktops will be for sale at Best Buy, the companies announced Thursday. Several models of XPS and Inspiron PCs will be available at 900 Best Buy locations, including the XPS M1330 in white, the Inspiron 1521 in blue and black, the Inspiron 1420 in black, and the all-in-one XPS One desktop. Microsoft gears up for the biggest enterprise launch in its history Microsoft will be spending more than US$150 million worldwide to do a combined launch of its trio of enterprise products: Windows Server 2008, Microsoft SQL Server 2008, and Microsoft Visual Studio 2008, next year. The theme will be “Heroes Happen Here,” and the launch events will kick off in Los Angeles starting February 27, 2008. IBM researchers build supercomputer-on-a-chip Supercomputers may soon be the same size as a laptop if IBM brings to market research detailed on Thursday, in which pulses of light replace electricity to make data transfer between processor cores on a chip up to one-hundred times faster. Microsoft releases final version of HD Photo plug-in for Photoshop Microsoft has taken the beta tag off a plug-in to let Photoshop read and write files in the HD Photo format, which Microsoft is standardizing as JPEG XR. The free plug-in is available for download for Windows and Mac OS X systems. Microsoft trials XP on XO laptop Microsoft is to begin field tests of Windows XP working on the so-called $100 laptop, or XO, early in 2008. It has not committed to offering XP on the XO laptop but hopes to release the operating system in the first half of 2008 if the trials succeed.